What is the purpose of the K Bins? 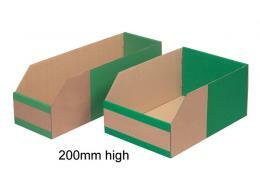 The K bins are fibreboard bins that come in a variety of sizes and are capable of holding many different products. 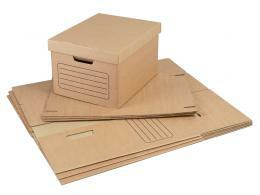 Because they are made of a fibreboard material, they are cost effective and could even be considered disposable. They are shipped to a customer flat and are able to be assembled within seconds. They have self locking tabs that ensure their shape is retained once they are assembled as well. 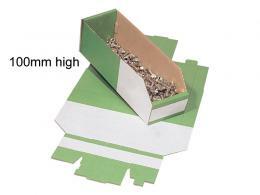 Also, the front of the K bins have a convenient space where a label can be attached or the items inside can easily be written on the front of the box because fibreboard is easy to write on, unlike plastic materials. The front of the bins is semi opened so a person can see what is in them and reach in for whatever they need. This product can be used just about anywhere. They come in a variety of sizes, so someone may want to keep a few in their office to organize their index or business cards. They could also be used in a shop to hold screws and bolts. Many people don't like to clean their bins if they use them frequently and put used items back into them, and they won't have to worry about that with the K bins. They can simply use them until they are ready to be replaced, then assemble new bins to take the old one's place. This makes it so much easier to keep a workspace clean, especially if rusty or oily bolts are being thrown into the bins regularly. They could also be used at someone's home if they like to keep their personal workspace organized. People working at home, employees in an office, or mechanics in a workshop will be most likely to make use of this product. However, because of the product's versatility, it's possible that many other people will take interest in them as well. They are convenient, sturdy, reliable storage containers that can be considered disposable, which makes them valuable to many people. The K bins come with a 1 year parts and labour warranty. 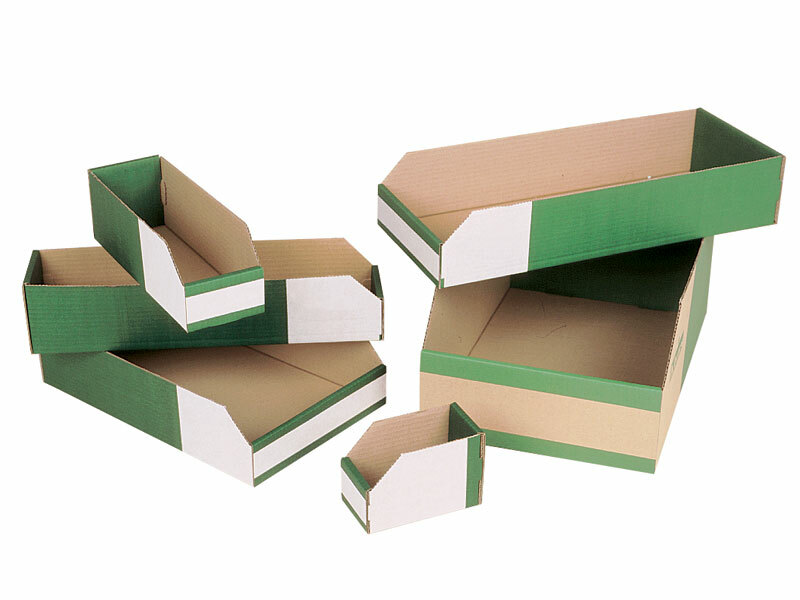 They are also available in green and white, or green and brown (natural fibreboard color).